The Allied Health Department at UH-Maui CC is committed to formulating best practices for making telehealth a part of every nurse's training, and we look forward to contributing to (and learning from) Project OHANA. American TeleCare (ATI), Inc. announced that the Allied Health Department, University of Hawaii-Maui Community College (UH-Maui CC), Kahului, Hawaii, has selected ATI technology and services for Project OHANA (Online Health and Academic Network Access), its nursing telehealth project. 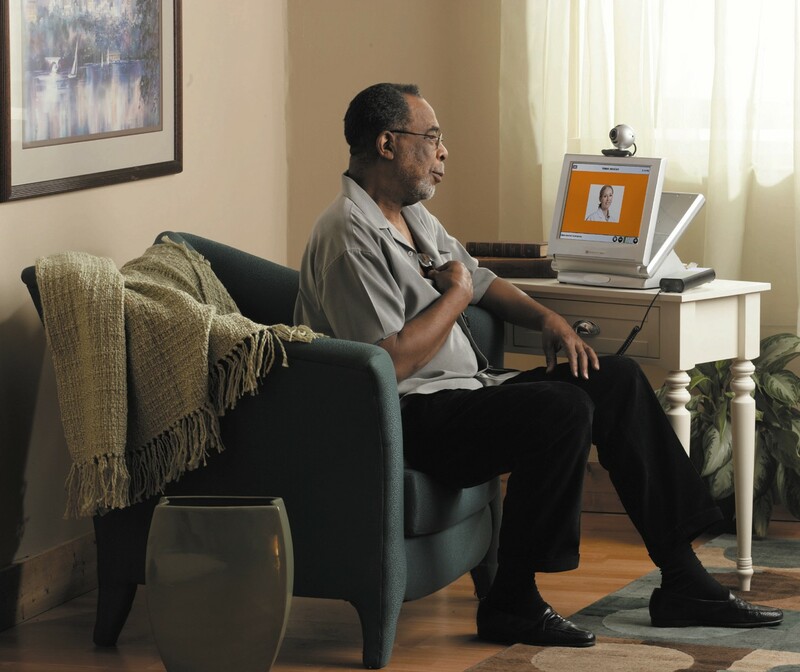 American TeleCare pioneered telehealth-supported solutions for connected care. ATI solutions establish and sustain telemedicine monitoring and patient care, keeping patients connected to clinical expertise to improve health outcomes. With funding from the Rural Utilities Service (RUS) Distance Learning and Telemedicine (DLT) program, the UH-Maui CC Allied Health Department is undertaking their project to develop and evaluate best practices for the integration of telehealth in nurse training and clinical practice. "Telehealth will be an important element of clinical practice for the nursing students we are educating today. In particular, telehealth extends the reach of community health and outpatient care in rural Hawaii," said Nancy Johnson, M.S.N., A.P.R.N., department chair, Allied Health, University of Hawaii-Maui Community College. "ATI offers us leading technology, expertise in training and experience in the design and implementation of telehealth programs." "We built our knowledge base in telehealth training and clinical care over more than 15 years of working with more than 400 telemedicine sites," said Randy Moore, M.D., M.B.A., chief executive officer, American TeleCare, Inc. (ATI). "The Allied Health Department at UH-Maui CC is committed to formulating best practices for making telehealth a part of every nurse's training, and we look forward to contributing to (and learning from) Project OHANA." 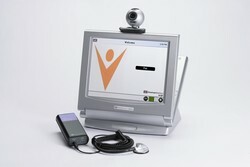 The UH-Maui CC Allied Health Department is utilizing the inLife™ and LifeView™ Telehealth Systems from American TeleCare. Deployed in patients' residences, inLife™ Patient Stations are compact, easy-to-use monitors that gather and transmit both objective clinical data and subjective patient-reported information. The Patient Stations prompt patients to answer health questions and use the system's integrated medical peripherals (including ATI's patented CareTone® Telephonic Stethoscopes) to transmit their heart sounds, weight, blood pressure, pulse and blood oxygen levels. LifeView™ Patient Stations add interactive audio-video for televisits and video snapshot capture capability. ATI system software provides a combination of visual and narrated instructions that guide patients through the process of taking their vital signs and other physiological measurements. The instructions also help them answer questions about their health conditions. Clinicians and care teams can program Patient Stations with customized medication reminders, health status questions, care step instructions and patient education messages tailored for individual patients. Founded in 1993, American TeleCare, Inc. (ATI) is the pioneer in the development and deployment of telehealth-supported solutions for connected care. ATI solutions establish and sustain telemedicine monitoring and constant care of patients -- keeping them connected to expert clinical care to improve and maintain their health. In partnership with leading health care delivery systems, ATI organizes and supports interdisciplinary medical teams that extend clinical expertise to patients whenever and wherever it is required. ATI's partners achieve 65 to 95 percent reductions in emergency department and inpatient utilization for patients with the highest burden and complexity of disease. For more information, visit http://www.americantelecare.com. Then call 800-323-6667. ATI is exhibiting at the National Association for Home Care and Hospice (NAHC) Annual Meeting and Exposition, October 10-14, 2009, Los Angeles Convention Center, Los Angeles, Calif. ATI will be located a booth #1153. American TeleCare, Inc. (ATI)American TeleCare pioneered telehealth-supported solutions for connected care. American TeleCare LifeView Patient StationATI solutions establish and sustain telemedicine monitoring and patient care, keeping patients connected to clinical expertise to improve outcomes.